GRIN AND BARRETT: Why me? All active Facebookers will remember a time not too long ago that I like to call the "doppelgänger era." Officially, a doppelgänger is "an apparition or double of a living person." So someone in the facebook realm decided to popularize that word by encouraging people to search out their celebrity double. It was my favorite facebook period ever. I usually don't spend too much time perusing through profile pics, but some were just too precious to pass up. Very average to below-average looking friends of mine would choose the most gorgeous/handsome celebrity to be their look-alike. All the sudden girls realized (more like hoped) that they looked like Carrie Underwood. Dudes would put up shirtless pictures of Matthew McConaughey or some other hunky male. And the best thing was that we, the Facebook public, were supposed to buy it. It pleased me to know that some people think so highly of themselves. As for me, I never posted a doppelgänger. Why? Because up to that point I was just Brady Barrett, an individual without a look-alike. I wasn't about to post a Bradley Cooper or Brad Pitt mostly because I look nothing like them. But within the last year, I have been getting "You look like..." comments. I'm not flattered by them, either. 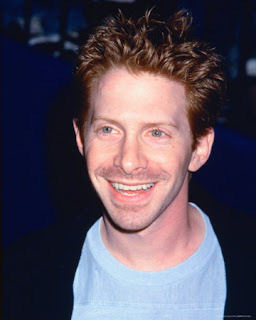 Seth Green. I've gotten this one several times. For some reason being compared to Dr. Evil's outcast son doesn't tickle my fancy. 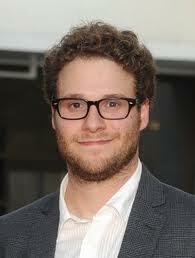 Seth Rogen. Can't say I'm hot on this one either. And why "Seth?" Two Seth's? I'm extremely upSeth about this. I guess I can kinda see it. If I squint, and turn my head to the side. :P but both of those guys are funny too, maybe it's a compliment in that you are funny? just a thought. Brady remember that guy from Royal Pains that I said you look like? He's much more handsome and you look a lot more like him than these guys!